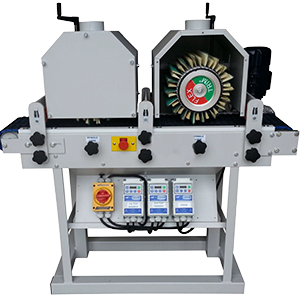 The 260 Series Profile Sander is a horizontal spindle machine designed for use with flexible brush type sanding wheels. 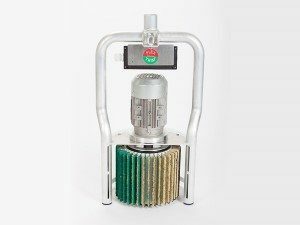 The base machine has 40mm diameter spindles extending 175mm on both sides. 50mm diameter extensions can be added to either or both sides. 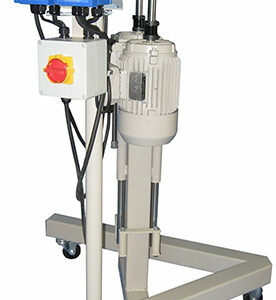 In addition, the spindle height can be easily adjusted. 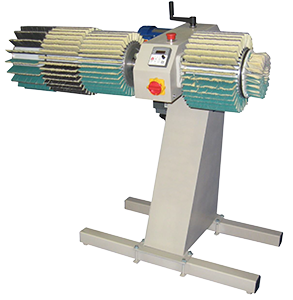 Variable spindle speed is inverter controlled. 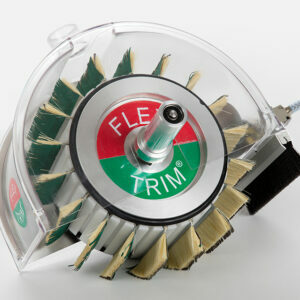 The spindle’s rotation can be changed to allow sanding to be performed on top or bottom of the brushes. The bases can be moved side to side to provide clearance for the operator. The inverter keypad provides Start/Stop, Speed, and rotation direction control. Different sanding strips can be used on long spindles to vary sanding by changing brush lengths, grits, and abrasive types. Double sided strips can also be used to do whitewood sanding in one direction, and sealer sanding by reversing the rotation. Spindle height is easily adjusted.